Rudolf Steiner tells us that Mars (along with Jupiter and Saturn) belongs to the group of planets farther from Earth which work via silica in the soil, respond to heat and activate the food-bearing parts of the plant. Maria Thun, after her extensive research, assigns Mars to the Water/Damp ether (along with the Moon) which corresponds to the leafy parts of the plant. It seems to me that the effects of Mars are more earthy in the closer part of its orbit, and conversely, more cosmic farther away. As Mars retrograde occurs when it is closest to Earth, then it would seem a good time to work with the soil, testing and remediating it for proper balance. This “below” part of the agricultural work especially applies to this particular Mars retrograde. Over the course of 15 to 17 years, Mars will retrograde seven times. Each of these retrogrades has its own particular shaped loop in the sky. However, because of its eccentric orbit, Mars retrogrades much less frequently in the loops which have a shape where Mars loops downward into south latitude, below the ecliptic. 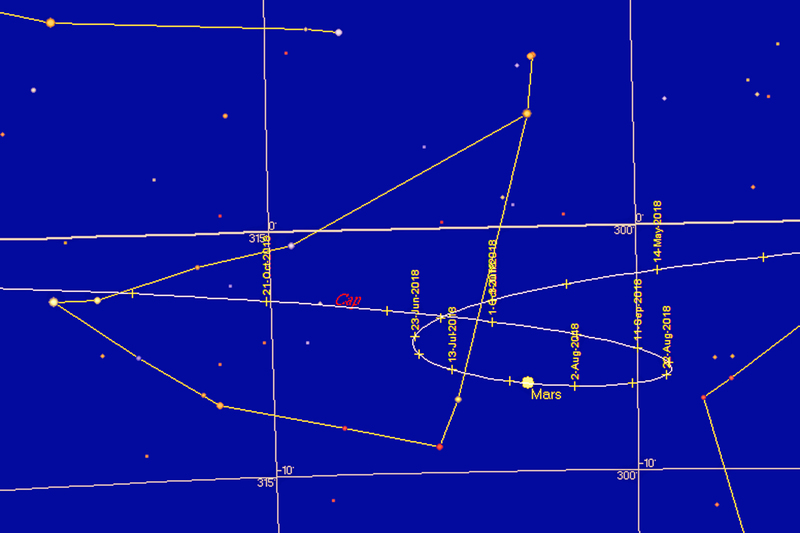 This particular retrograde is one of the rarer “below” shaped loops. It should be noted that Steiner associated the sky forces with silica, so possibly that dimension might also be considered during this Mars retrograde. This would seem a valued opportunity to work with the more earthy side of Mars, as it relates not only to the earth/water ethers and root/leaf functions, but also to soil composition. 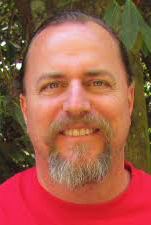 Growing up in a rural setting outside Leesburg, Virginia, Gary developed passions for gardening and farming early in life and has lived on working farms. In 1993 Gary was initiated into the planetary mysteries by seeing alignments in a dream. His deep love of nature fuels his enthusiasm for stargazing and astrophotography. Gary claims it has been a true joy combining his lifelong passion for learning with the tasks of completing the calculations and contributing to the forecasts for this calendar. Based on more than two decades of experience, he incorporates several new elements into this text, including consideration of the sextile aspect and a look at the deeper mysteries of the retrograde loops of Venus and Mars.